Que vemos tú y yo al hacer el amor. This piece of Prinack fanart, as part of BrickercupMasterX3’s Prinack month, is dedicated to a fellow DeviantArtist who celebrated her birthday two days ago, Samanta aka JACKSPICERCHASE. So, Sam, I hope you had a marvelous, magnificent, and fabulous birthday and I wish you a lot of beauty and blessings in your life as an artist. Wie wir auf deutsch sagen, ich hoffe, dass du einen herrlichen, grandiosen und fantastischen Geburtstag hattest, und ich wünsche dir viel Schönheit und Segen in deinem Leben als Künstler. Como decimos en español, espero que hayas tenido un cumpleaños maravilloso, magnífico y fabuloso y te deseo mucha belleza y bendiciones en tu vida como artista. 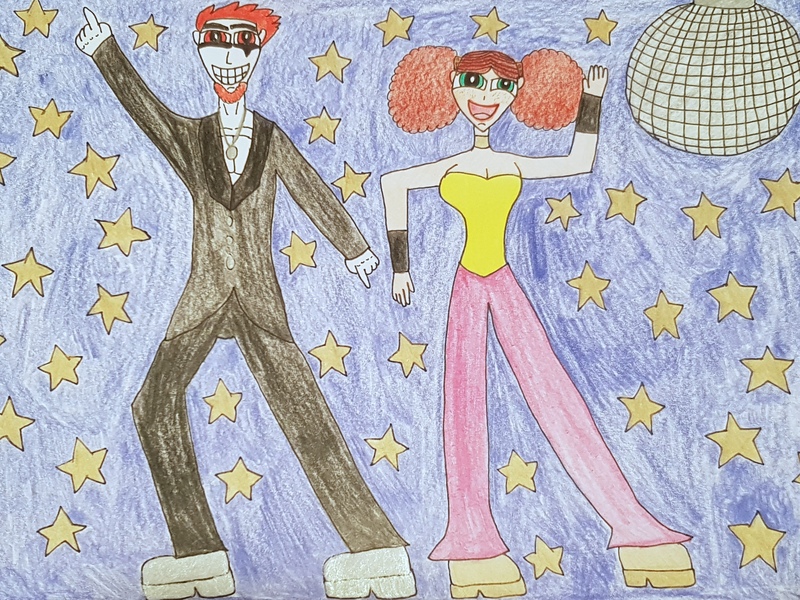 It’s time for Jack and Princess to do some disco-dancing to this Mexican tune and it looks like they are really enjoying themselves, as they love to bust a move. 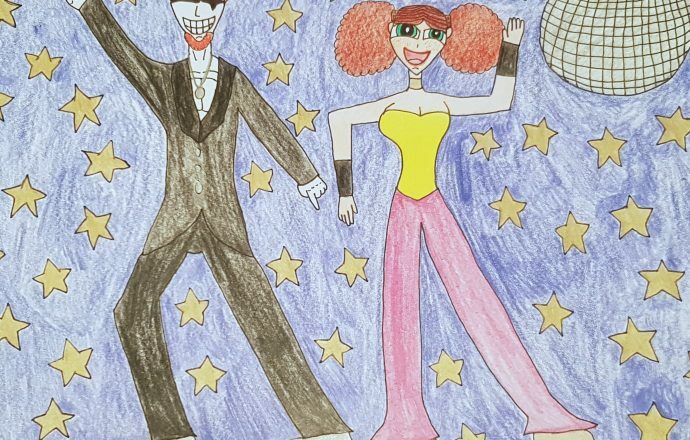 Plus, don’t they look absolutely fabulous in their disco attire? The answer should be pretty obvious. As for the song choice, I found myself loving the absolute heck out of Daniela Romo’s Yo No te Pido La Luna and I hope you all enjoy listening to it, as much as you enjoy imagining them grooving to this song. Thanks so much for taking the time to enjoy this post in its entirety. I also apologize for the delay, but let’s just say that real life has its priorities. Thanks for your understanding. Jack Spicer from Xiaolin Showdown belongs to Christy Hui and Kids’ WB. Princess Morbucks from The Powerpuff Girls belongs to Craig McCracken and Cartoon Network.